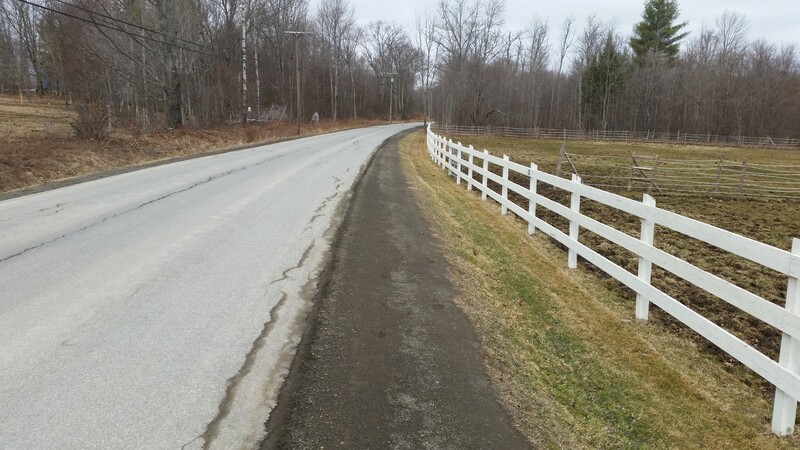 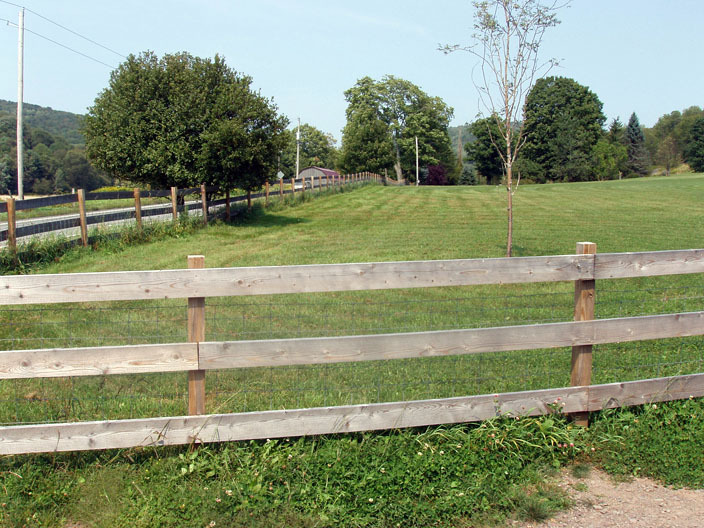 We installed this 2000′ long fence in Wells Bridge for dog containment. 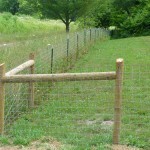 The ends and corners are round pressure treated posts with horizontal rails and diagonal tension wire. 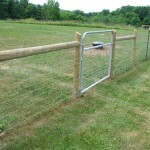 This design allows us to pull the woven wire fence under high tension to prevent your dog (or goat?) 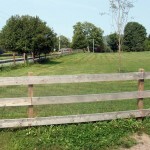 from pushing out and under. 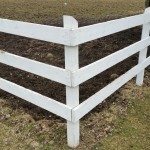 The line posts are simple iron T-posts which don’t require any hole digging. 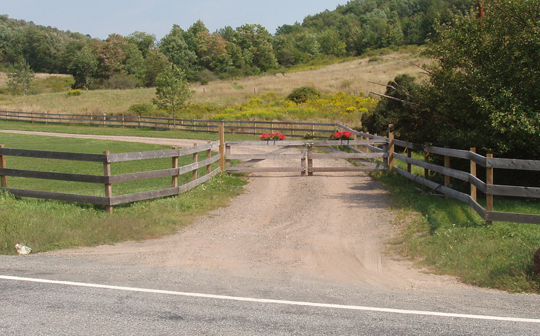 Add a simple tube gate and you’ve given Rover plenty of room to run. 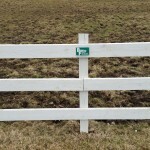 This post & wire concept is also an inexpensive way to define your property boundaries while keeping out hunters, snowmobilers and other trespassers. 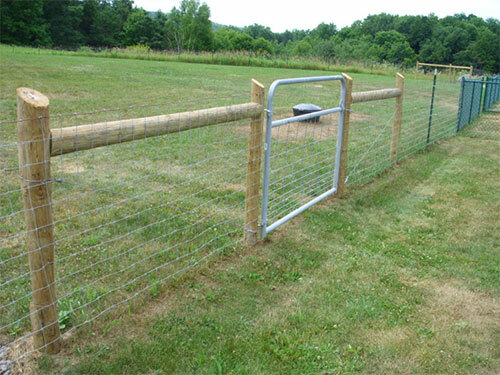 If you look close, you can see the wire stapled to the inside for dog containment. 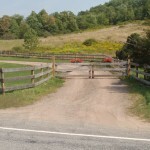 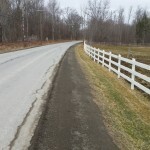 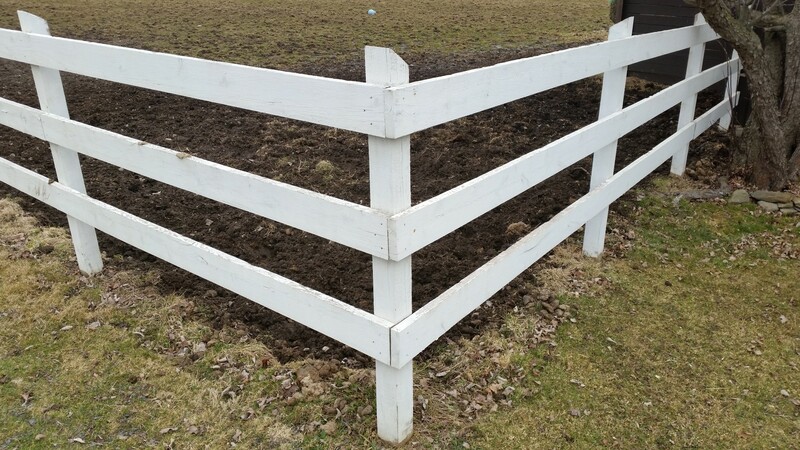 We used full dimension 2″x6″ rails and 6″x6′” posts for this horse fence. 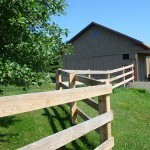 We installed this horse fence in Laurens. 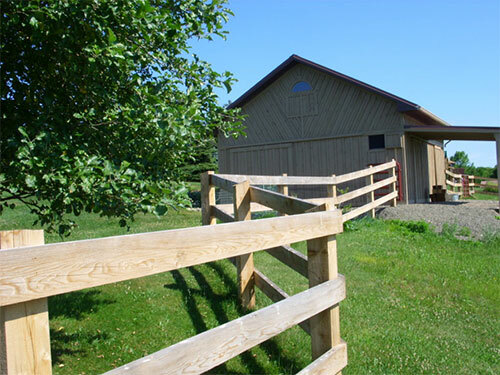 It is fabricated from full dimension, rough sawn hemlock. 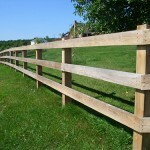 The posts are 4×4’s and the rails are 2×6’s. 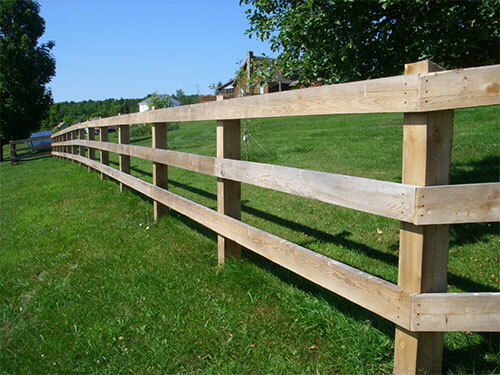 The rails are set 10″ apart with the top rail at 48″ above grade. 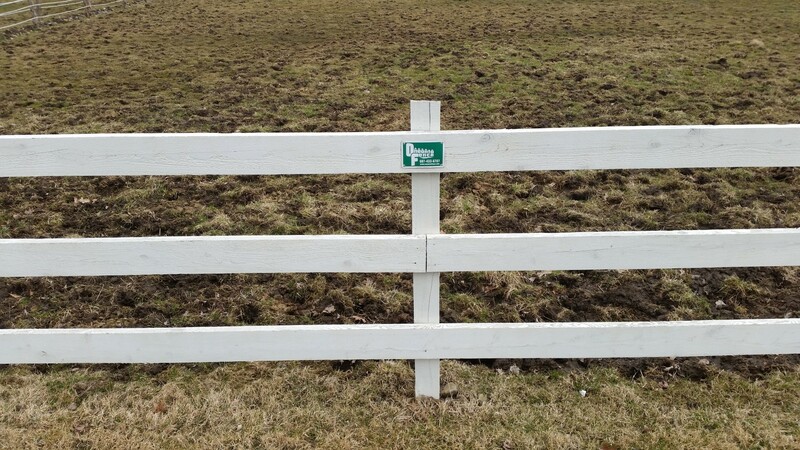 We set the posts on 8′ centers. 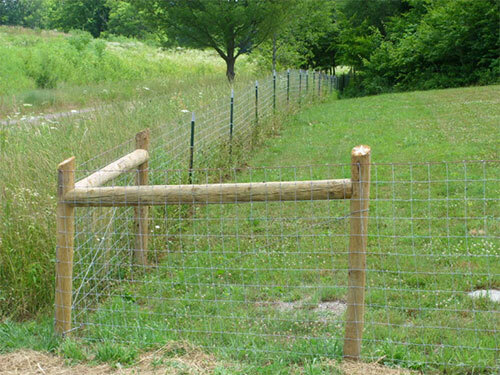 We alternate our 16′ long rails for extra strength.